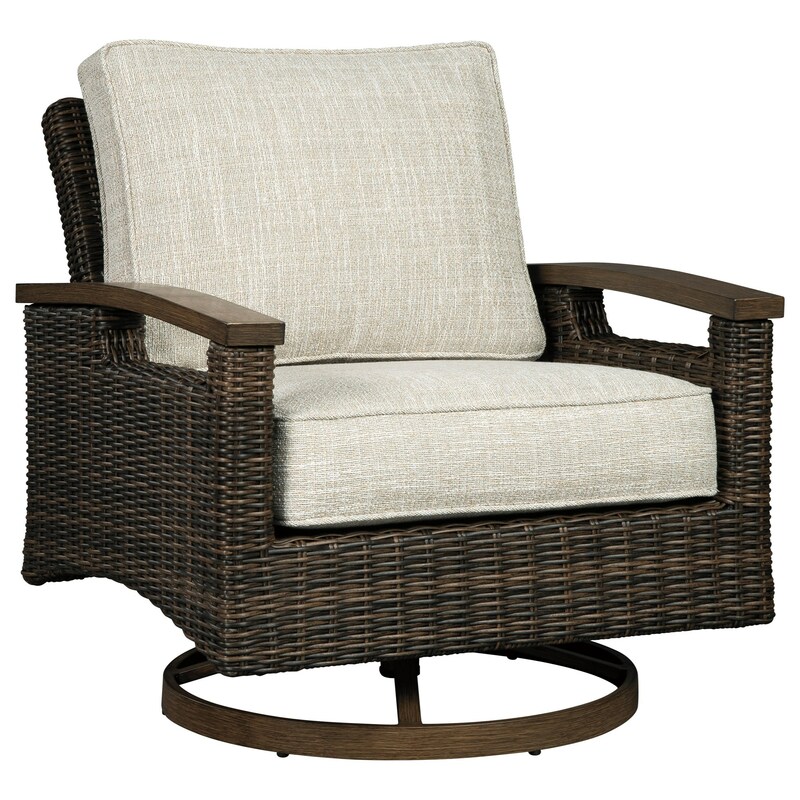 Constructed of all-weather, handwoven resin wicker, this set of swivel lounge chairs is both durable and stylish. The rust-proof aluminum frames offer resistance to all types of weather, while the cushioned seats are wrapped in high-performance Nuvella fabric that is perfect for the outdoors. The Paradise Trail Set of 2 Resin Wicker Swivel Lounge Chairs by Signature Design by Ashley at Miskelly Furniture in the Jackson, Pearl, Madison, Ridgeland, Flowood Mississippi area. Product availability may vary. Contact us for the most current availability on this product. 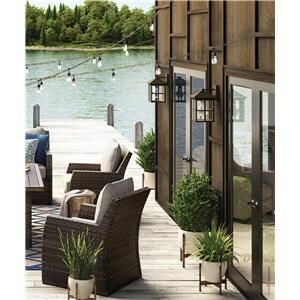 The Paradise Trail collection is a great option if you are looking for Contemporary Outdoor Furniture in the Jackson, Pearl, Madison, Ridgeland, Flowood Mississippi area. Browse other items in the Paradise Trail collection from Miskelly Furniture in the Jackson, Pearl, Madison, Ridgeland, Flowood Mississippi area.